Have you noticed that you’re not achieving the Facebook reach you used to get? Have no fear, it’s not just you. Facebook constantly tweak their EdgeRank algorithm that determines what people see on their news feed. You are now seeing more promoted content as well as content that Facebook decides is more personalised to you. Here is a handy tip to getting your posts on Facebook to reach the people who want to see the content you share. Encourage your followers to receive notifications so they don’t miss out on the fantastic posts that you regularly make. By requesting to see notifications they are telling Facebook’s news feed algorithm that you have content that they want to see. This will make sure that your posts stop getting lost in the news feed and get the reach they deserve. A simple way to do this is by creating a cover photo that encourages your followers to take the steps to get notifications. Here is one we prepared earlier. We created a photo, quite simple to do with any photo editor (we used powerpoint). Then added some simple directions for our followers to take so they can easily see our posts on their news feeds. If you liked this trick we have some other Facebook related tips. Want to get your Twitter followers onto your Facebook page? Or Make matching Facebook profile and cover photos? If this is all a bit too much for your skillset or you want to leave it in the hands of the pros then we can do it for you. Google Alerts are an efficient and easy way to keep up to date on articles and other information on the internet and have it sent straight to your email. 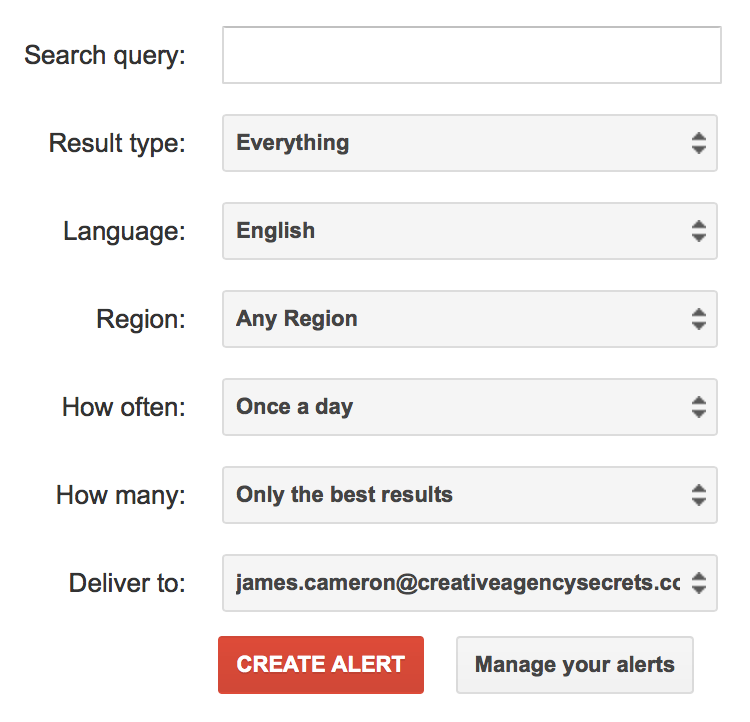 Use alerts for content curation and early awareness of breaking news topics in your niche. There is a simple and easy way to set them up. 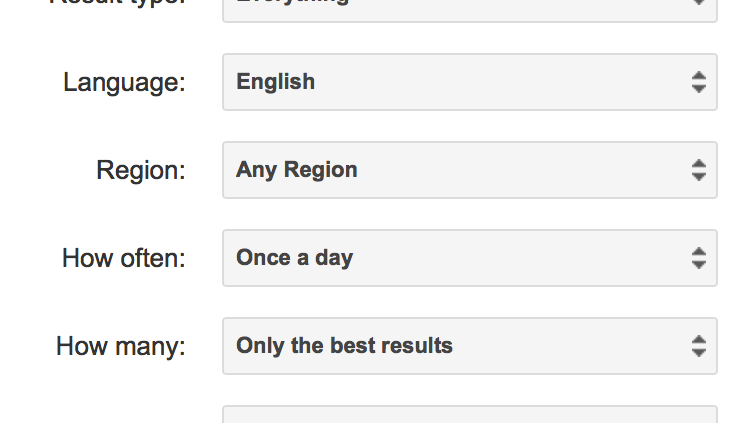 Using result type you can pick whether you want just news, video, blog posts, discussions or books. Select language and region to search in – useful if you only want news from your country. Update frequency – once a week, once a day or as it happens. Google allows you to choose whether you want to receive only the best results or all the results. We prefer to use all results so that you don’t miss out on anything that might be important. Finally you enter in your email address and Google will send you the latest updates on whatever you want. It’s as easy as that. Google Alerts shows you the new content that comes up when you enter in a search query. So use a search query that is specific enough to get you the results you want. You don’t want have to waste time reading through a big list of useless articles and not find anything relevant. The first tip is to use quote marks to search for phrases. From my earlier search term in step 2 above I wanted to search for the phrase “football world cup” so it is in quote marks. This gives you only the search results that have all three words in that order without any other words. If you didn’t have the quote marks then google would give you pages that contain any of the words in the search term, in any order. Use OR to find synonyms or similar information. I could use “football world cup” OR “Fifa world cup” OR “soccer world cup”. This will give me the information I am looking for that wouldn’t necessarily come up if I only used the search term “football world cup”. Use the minus symbol “–” to exclude a search term that you don’t want to hear about. This can be useful when you are searching for something that is quite often associated with a term that you don’t want. So in New Zealand, rugby is sometimes called “football” or “footy” and so I could exclude all mentions of rugby football. The last tip is one of Google’s lesser known search operators, intext:. This operator forces Google to use the exact word in all the search results and not any synonyms. So I could search for intext:“football world cup” and I wouldn’t get any synonyms of football and I would get the whole search term together in the search results. Back in March I was floating around handing my CV out left, right and center trying to find my first full time job. I had graduated from university in December and after a relaxing summer soaking up rays on the beach I set out on the quest for employment. After a month of only small leads that didn’t turn into anything promising, I realised that it is actually quite hard to get a job without any experience. My previous work history consisted of small summer jobs and a season working on a ski field so my limited knowledge came straight from my degree. Most of the jobs that I found wanted at least a year’s experience, which I was lacking. This lead me to looking at internships. An internship would give my CV that extra boost of experience to make me more appealing to an employer. A friend of mine had previously interned there and mentioned that they might be looking for someone as they take on interns regularly. He put me in touch with Rebecca and I got an interview. I either nailed it or they didn’t have any other options so I was offered a position as an intern! When I first started at Creative Agency Secrets I wasn’t the only intern. There was another, a Swedish student called Johan. He was in New Zealand on a university exchange and was interning to get experience as part of his degree back in Sweden. Johan helped to show me the ropes and settle into the team at Creative Agency Secrets, although it was a bit of a competition at first as I was the “new intern” invading his territory. My internship at Creative Agency Secrets was short, it only lasted 6 weeks before I was offered a job. During these 6 weeks however I learned a great deal. I sat in on meetings with clients and learned the basic ins and outs of how the company worked. Before I knew it I was dealing with proper client work and gaining the valuable experience that I had wanted for my CV. Using and managing social media for marketing purposes on the client’s behalf. Including the theory behind social media marketing and some technological tricks to drive traffic to your website. Using analytics to track the effectiveness of our campaigns. Dealing with clients using email, in person and client meetings. Writing blog posts, for both clients and on the Creative Agency Secrets blog. Researching and keeping up to date with the newest and most effective marketing practices. Foosball, I have dramatically increased my foosball skills while I’ve been here thanks to the foosball table and the fierce competition that the other members of the Creative Agency Secrets team provide. I have learnt a lot and continue to gain new skills here at Creative Agency Secrets. I have enjoyed my time here thus far and have been quickly accepted (I hope) as a valuable member of the team. Two previous interns have also written articles about their experiences at Creative Agency Secrets. Johan the Swedish intern and Brad who worked here before my time, check them out. Interested in becoming an intern or applying for work here? Visit the Careers page. Creative Agency Secrets’ business model includes hiring and training ‘first job’ trainees giving them marketable skills. 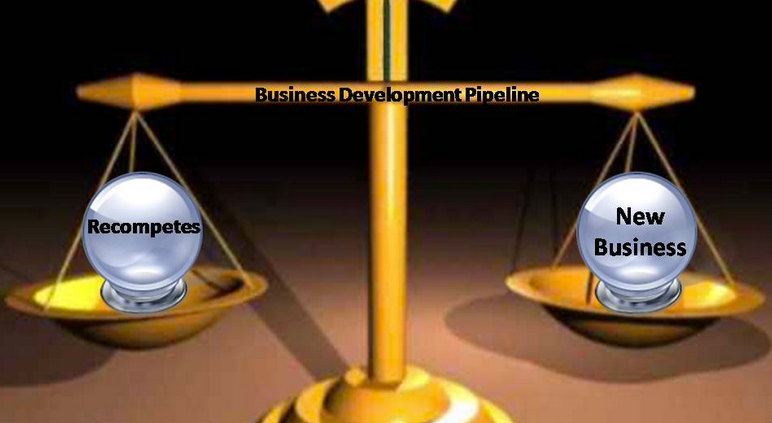 I’ve got a new job in business development – what do I do first? 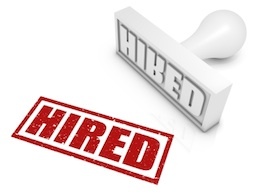 What should be the best approach to winning customers in this new role of a business director? Find out what methods worked best in the recent past. Appraise the past 2 years of new business wins (if B2B) or past 4 months (if B2C) and list all the methods and how many customers were won, what their customer value per month was. 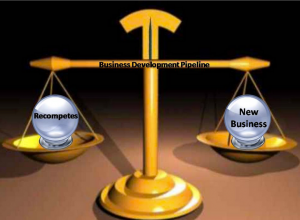 You can find out which delivers the highest volume of new customers and which delivers the highest value of new customers. 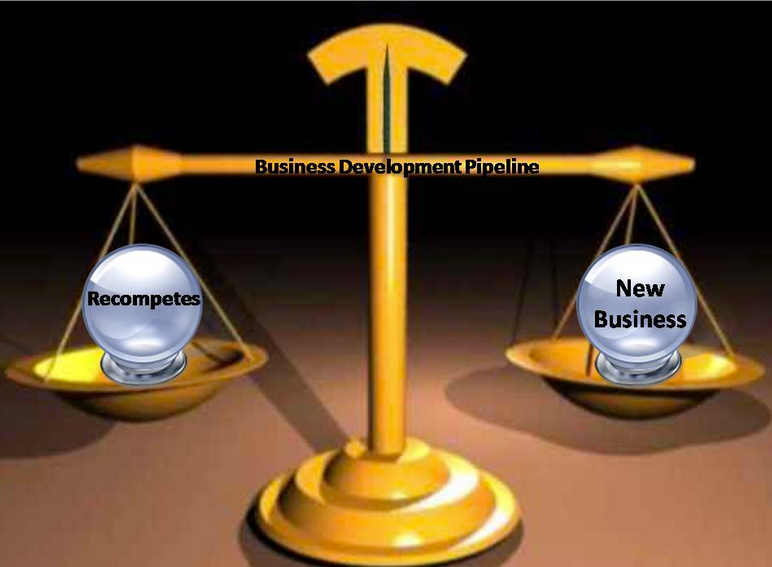 Take our new business development coaching service and we will help you write a plan for your business. Get in touch if we can help you further. https://creativeagencysecrets.com/wp-content/uploads/2014/06/biz-dev-scales.png 567 772 Rebecca Caroe https://creativeagencysecrets.com/wp-content/uploads/2014/04/CAS_Logo_1line_RGB.jpg Rebecca Caroe2014-06-20 10:00:002014-06-20 15:01:10I've got a new job in business development - what do I do first? Interpreter of technical material for translation into everyday marketing speak. Full time for 2 weeks, then casual. BraveNewCoin provides in-depth market information for BTC Bitcoin including weighted-average price index, market capitalisation and volumes traded from most international exchanges for USD United States Dollar. Get in touch if you want more detail and to send in your quote. Does your business have an effective way of dealing with customer service letters? Recently I conducted some research on how best to answer customer complaints and enquiries with some surprising results. Some of the businesses that I contacted had a poor process of dealing with customer enquiries and complaints, don’t be one of those companies! From these interactions I have put together a three step process that I believe every customer service letter needs to do in order to be effective. Following up with a complaint or an enquiry straight away is incredibly important. Don’t forget that the customer’s opinions and thoughts are helpful to you. Send an immediate follow up email telling them that you have received their request and are going to get back to them. This could be an automated response informing the customer that someone will personally get back to them in a specified time frame. The first contact email should still use a general tone as customers don’t like too formal or too “cut and paste” type emails. Below is a good example of what a first contact email has to do, however I think it is too formal and easy to see that is is an automatic email. Having a quick initial response tells your customer that you’ve received their feedback and are actioning it. This is important if you have a process time of over 24 hours for a request because past that customers begin to get restless. Your first personalised contact should do three things. Thank the customer for getting in contact with you. 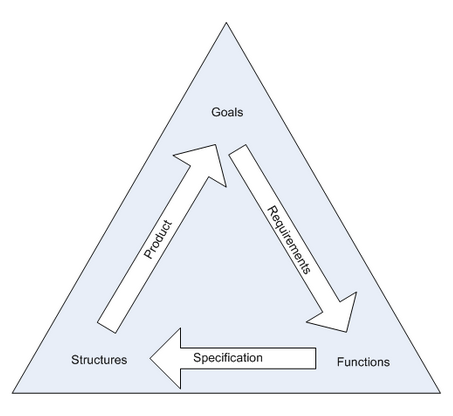 Outline the problem and what you are doing or have done to fix it or ask for more details you may need. Make yourself available for further contact. You could even provide a phone number for the customer to call. The example below is a good one. It is the second contact that was made with me, the first was an automated email. It relates to a query with a particular store and so someone from the customer liaison team put me in touch directly with the store manager. As you can see below they thanked me for getting in touch, they outlined what they were doing and made themselves available for further contact. Further contact to make sure that the customer is satisfied is a necessary step in the customer service process. The follow up could help obtain further information on the matter at hand or to make sure there are no further questions that the customer has. This is also a chance to find out how satisfied with your service the customer was. 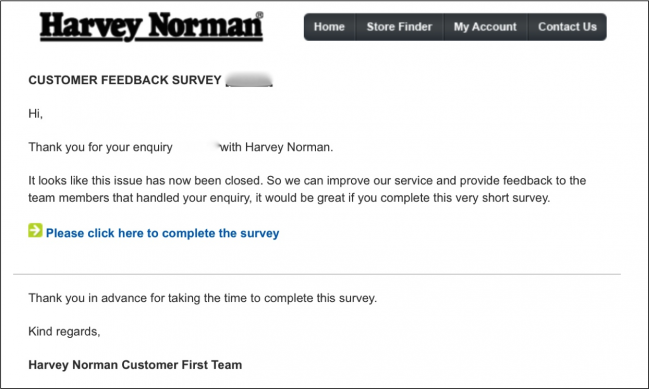 A survey is an easy and efficient way this can be done, however not everyone will complete the survey. You could also send a different email thanking the customer for contacting you and asking if there is anything else you can do for them. The overall tone of voice in your correspondence will affect whether your customer will feel satisfied or neglected. Being overly formal can be detrimental to customer relationships. It can make them feel like they’re being given pre-written replies and not being dealt with in a caring manner. Customer complaints and inquiries can be turned into a valuable resource to your business. They help you figure out improvements that can be made and they also allow you to personally connect with customers while learning what they really want. This gives you the opportunity to help solve a customer’s issue and ensure that similar problems don’t affect future customers. If you have any more questions about customer service letters please get in touch with us and we can help you out or help you write and plan your letters. So we got ourselves a new logo – how hard is it for a creative agency to instruct another agency? I won’t go there…. Anyway, RedSpark kindly used us as a case study and allow us to share the background to their creative work with you. So take a read – do you think the eventual design fulfilled the brief? Thanks so much Ross and Angela. SEO is an important part of an online administrator or digital content manager. An effective website is not just appealing to human visitors – they are also be easy for online spiders and bots to understand and “crawl” their content. That is why XML Sitemaps are important – They tell the machines where each page can be found, how important each page is relative to the rest of the site and how often it is updated/changed. Through the use of simple plugins (or manually accessing the file if you’re more technically competent) a sitemap can be created and modified. By modifying the file (robots.txt), you can change how often robots should crawl your site for specific URLs, change the priority setting of an individual page or even block the bots from crawling certain pages altogether. A situation I often do this for is if we have historical blog posts that continue to be heavily trafficked. I’ll want to increase the priority of those posts slightly higher than newer ones so as to ensure they continued to be crawled and that any change that’s made is more likely to be picked up by Google and Bing. Sitemaps can easily be edited to tell crawlers which pages are worth crawling and which are to be ignored – particularly if you use a pre-designed sitemap. 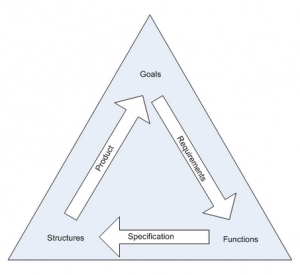 Which WordPress Plugin Is Best For Sitemaps? If you’re one of the millions of web admins who use WordPress, I highly recommend the Google XML Sitemaps plugin by Arne Brachold. It is easy to setup and best of all, is very easy to manipulate should you wish to feature a particular page or skip another. It also makes a robot-friendly URL (ours is https://creativeagencysecrets.com/sitemap.xml) meaning it is good for your SEO too. Ultimately there is no point in creating a sitemap if it’s not easily crawlable by robots such as Google. Therefore, testing and uploading your sitemap using Google Webmaster tools is logically the next step. Go to Google Webmaster Tools and add your site. Usually, the easiest way to verify your site is to use your Google Analytics logins. If this doesn’t work or you wish to set up an account without access to Google Analytics, you may have to upload an html file to the site. 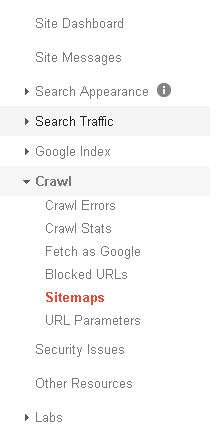 Upon verifying your site, click Sitemaps in the left menu which can be found under the “Crawl” section. Next, Add/Test your sitemap by clicking the “Add/Test Sitemap” red button in the top right of the screen. In the textbox that appears, assuming you haven’t changed the default URL (I’d recommend you don’t), all you should have to enter is “sitemap.xml”. Google will then check to ensure it’s a valid URL and will alert you if there are any problems it detects (see screenshot below) – fortunately, Google also provides explanations as to what causes these errors which usually helps get to the root cause of the problem quickly. Normally though, a first time, clean installation won’t have any issues. Errors are usually caused if your website has been around for a while – especially if the URL structure of your site has changed or you’ve manually changed URLs of certain pages post-publication. Hopefully though there are no major errors and that you’re able to fix all minor issues. Google will show how many pages you’ve submitted (it naturally skips certain ones like eCommerce pages) and how many it’s actually indexed. Remember, the more pages Google indexes, the better Google knows your site and the more likely it is to send genuinely interested visitors to the pages you want them to visit first time. Copyblogger published a great infographic and detailed survey on what people thought native advertising is all about. And we did our own mini version for respondents in New Zealand. Whether you fall into the “I know it” or the “I know nothing” group, we would love to get you along to contribute to the debate about how we should use Native Advertising in NZ. 19th June, 2014 4.30 pm to 7.30 pm.